Zach Hill is proving himself to be quite the prolific force of creative and abstract nature. He released his solo album, Face Tat, last year, aided Marnie Stern with HER self-titled third album, put out a mixtape and has a full-length planned this year for his experimental hip-hop group, Death Grips, and now the first Hella album in four years. We salute you, Zach. "Untitled," (named that because NONE of the album's songs have a title), is available at Stereogum. All link and information is courtesy of the Us/Them Group. 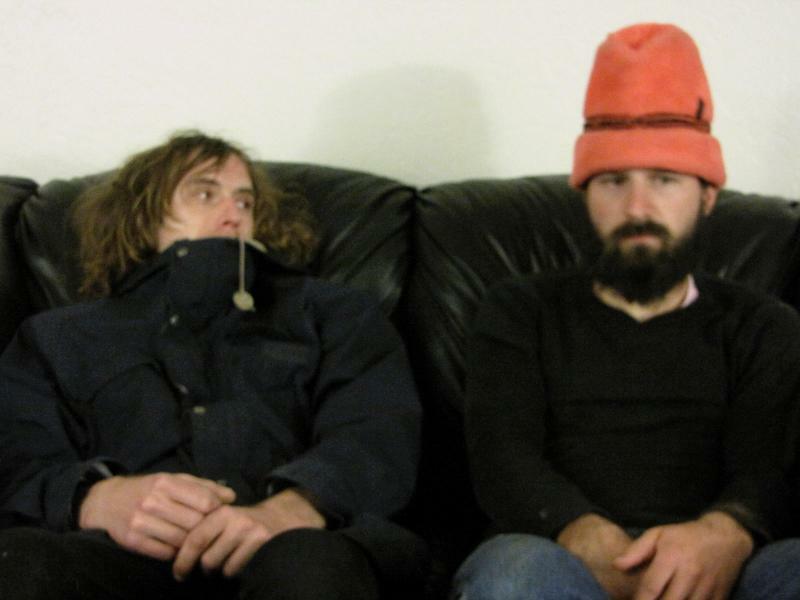 Legendary experimentalist duo, Hella have released the first track from their newly completed fifth album, due out August 2011 on Sargent House. Though neither the songs nor the album have been titled yet, the band has made the track available to fans today via Stereogum. Check it out HERE. Hella also invites people to create their own videos/visuals for the new song and post them to YouTube -- listed simply as "Hella - Track 1"-- and post the link on the band's Facebook page. After a four year hiatus, the duo featuring drummer Zach Hill and guitarist Spencer Seim has returned. Further details about the new recording will be released when they're good and ready.